From the moment these two players took the court on opposing sides, they engaged in a fierce physical and psychological battle. Their uncommonly competitive relationship came to symbolize the most compelling rivalry in the NBA. These were the basketball epics of the 1980s — Celtics vs Lakers, East vs West, physical vs finesse, Old School vs Showtime, even white vs black. 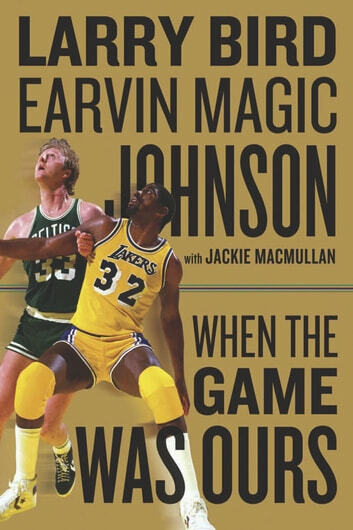 Each pushed the other to greatness — together Bird and Johnson collected eight NBA Championships, six MVP awards and helped save the floundering NBA at its most critical time. When it started they were bitter rivals, but along the way they became lifelong friends. With intimate, fly-on-the-wall detail, When the Game Was Ours transports readers to this electric era of basketball and reveals for the first time the inner workings of two players dead set on besting one another. From the heady days of trading championships to the darker days of injury and illness, we come to understand Larry’s obsessive devotion to winning and how his demons drove him on the court. We hear him talk with candor about playing through chronic pain and its truly exacting toll. In Magic we see a young, invincible star struggle with the sting of defeat, not just as a player but as a team leader. We are there the moment he learns he’s contracted HIV and hear in his own words how that devastating news impacted his relationships in basketball and beyond. But always, in both cases, we see them prevail. A compelling, up-close-and-personal portrait of basketball’s most inimitable duo, When the Game Was Ours is a reevaluation of three decades in counterpoint. 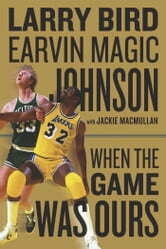 It is also a rollicking ride through professional basketball’s best times.